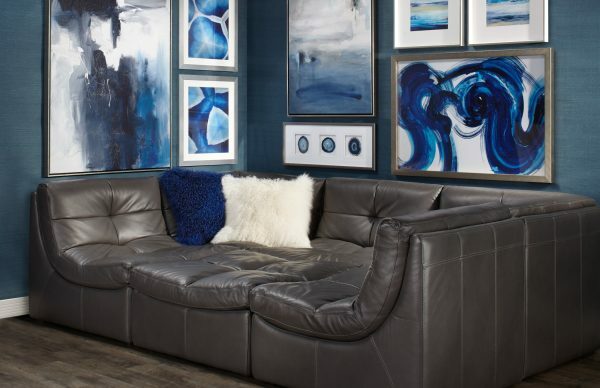 If you are in need of sprucing up your surroundings, Z Gallerie is a breath of fresh air. Hailing from the West Coast, not only will Z Gallerie be a new addition to the Natick Mall, but it will bring an innovative and refreshing sense of style to Boston. Strongly plugged into high fashion design and with an eye for trends, the traditional East Coast shopping scene will never be the same again! 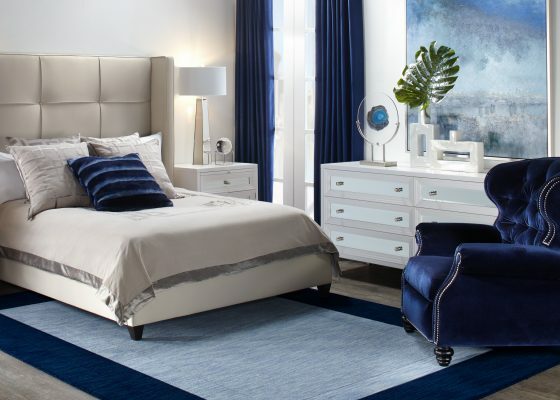 Debuting on May 12th, Z Gallerie brings a fashion forward approach to its furniture, art, and home décor, inspired by current styles at affordable costs. The Spring/Summer 2017 Collection is separated into three distinct categories—Glamorous, Relaxed, and Modern—which are further informed by this season’s key trends and color palettes. Blush, amethyst and sapphire blue set the tone for glam style with statement pieces such as the champagne-colored Empire Buffet, whereas the relaxed style consists of neutral hues with elements found in nature, such as roots and trees, for a serene vibe. In stark contrast, modern is inspired by clean, geometric lines—a current 2017 trend embodied in the Landon Candelabra and patterned Cavallari Pillows. A wide array of products and price ranges will satisfy the needs of any consumer, from students looking to design their dorm space to housewives looking forward to entertaining outdoors. Take—for instance—Astair Nesting Tables. In metallic silver or gold leaf, they add a perfect touch of glamour to any condo while assembling neatly as either a party of three or separately. For a more traditional outdoor space, shop the Terza Collection, which includes plush seating and clean-lined lounging furniture in sun-proof fabrics. “Whether your style is relaxed and beachy or modern and polished, we have fashionable looks for each aesthetic,” says Public and Influencer Relations Manager, Gordon Andahl. Z Gallerie’s interior décor extends to artwork as well. In fact, the origins of the brand are rooted in art, when the Zieden siblings first opened a small poster shop in Sherman Oaks, California circa 1979. Art buyers curate art collections for a sleek designer look to customize your own gallery wall. Personal aesthetic is highly valued at Z Gallerie, and customers can communicate with consultants easily when they walk into a store. Consultants act as guides, but much of the guesswork is already done for consumers. 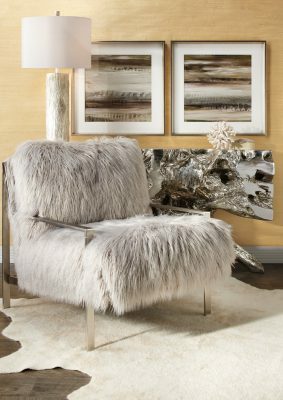 Furniture displayed in stores are set in styled vignettes, combining silver and gold metals with glossy and matte finishes, for an unusual wow factor. “We’re very unique in the way we merchandize, especially our windows, they draw you in” says Andahl.